Since the olde age, there have always been 5 five royal families, each ruling a separate kingdom. For generations upon generations, these families fought over the rule of the Central Kingdom. The family that claimed the Central Kingdom, essentially had power over the entire land of GASR until they were overthrown. Family name is everything - and ruling the Central Kingdom with your kin means holding the most power. Over time the constant conflict that the Kingdoms created in their strife for power, resulted in dire consequences. They had to come to a compromise so that the land of GASR would not suffer due to these consequences. Each family vowed that they would send their young to be trained in the central ruling kingdom. They decided to turn the vast city of GASR into a school and each year, the worthy would accepted into the 5 noble houses. Every year the house that wins the most challenges, and brings the most glory to their Kingdom, gains control over the Central Kingdom for the upcoming year. Q. Who let Tom Riddle write this? I can't read anything. You are receiving this letter with information in regards to your acceptance into our school of training. Please read carefully, as the following instructions will determine your placement within our academy. Below you will find an attached assessment containing 5 sections. Each will evaluate you on many aspects of your personality. After it has been completed in full, you will then be placed in an appropriate house based upon your overall result. Q. When will we get sorted? I haven't been placed into my house yet. I already took the test. A. We feel you and we really want to group you into your new home ASAP. Just remember that we're super extra and made the sorting process complicated. We want to be as thorough as possible with this process! There are a lot of students, a lot of tests, and a lot of questions. We take our time, because we care. Q. Do I need to take all the quizzes? A. Yep, all 5 of them. Q. Can I take the quiz on tablet/mobile? A. Oui, oui you definitely can! Q. What does it all mean? A. The world is a big place. We do things. Life. Y'know. Q. I'm finished with the quiz, what now? A. Don't worry your pretty lil head. Just sit tight and wait for your results. We'll be pming them to you. Q. I got 0% on a quiz, did I fail? A. Nope, don't worry about the percentages or anything of the sort. Q. What is this "Central Kingdom" and what are the houses? A. Hon hon Gaston, I bet you wanna know. All in good time, don't worry. Got a question you don't see answered up there? Post it in this topic! I received an error message at the end of the first quiz :c I didn't tab out but it didn't give me any other options other than the error message, before I could read it the page changed saying it's not available for my account! We were editing something rq that is why, the quizzes will be back up in just a few moments! 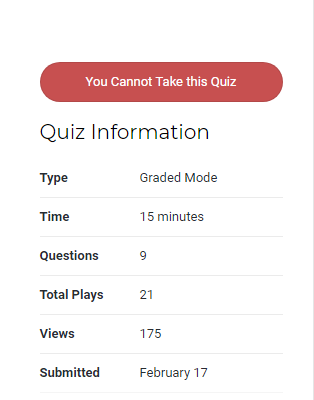 Alright the quizzes are re-enabled! We removed the "quiz will close out if you tab out" because people were having a lot of issues with this! So you should be able to safely tab out and go back to the quiz. There should be no issues anymore. Thanks for your patience! We just didn't want you guys to have any issues with this. Also please retake the quiz if you have already taken it, because we had to reset the quizzes in order to make these changes. LOVE YA DON'T HATE ME. I DO THIS OUT OF LOVE. Oui oui, you definitely can take it on mobile/tablet! @namjoon I apologize for the wait. They were waiting on me to fix some settings and errors members were receiving before the tests were disabled (by me as well.) He was only teasing, I'm sorry if the delay I caused made you upset, he's only the messenger. Did I see a snake house?